TThe Soweto Wine & Lifestyle Festival is a must-attend festival in Soweto. The show exhibits a combination of wine, travel destinations, food and lifestyle products. This festival is the hub for the country’s finest innovators, bringing together winemakers, artisanal chefs, designers, crafters and entrepreneurs for a three-day cultural experience, unique to Soweto. 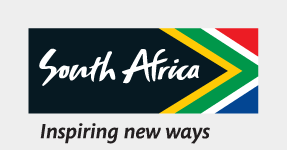 The festival was originally designed to bring Cape wines into Johannesburg’s largest township, Soweto – which is known for its trendsetting values and people – to expose this magnificent movement to the country’s oldest, unique wine etiquettes and cultures. Come and experience the best wines the Cape has to offer; check out travel retailers with a huge choice of holidays and weekends away; indulge in a wide selection of gastronomies to suit all tastes from top restaurants, local bistros and food vendors; and enjoy music from Soweto’s famous set. By day, play and sunbathe on some of the world’s finest beaches and then when the sun sets, put on your party shoes and enjoy a variety of nightlife experiences. Originally known as the Cape of Storms, this tumultuous corner of Southern Africa has a history that will leave you feeling moved and enriched. Mandela Theatre-The Joburg Theatre is set for drama! The Joburg Theatre offers world-class entertainment in a world-class city.